Are You Making the Right Choices When It Comes to Multiple Offers? It is important to know how to handle multiple offers on Sun Lakes AZ homes when in a strong seller’s market like we are experiencing. Believe it or not, several homes are receiving multiple offers, and it is tricky to know how to handle them accurately so that your home sells for the highest and best price possible. The Kolb Team has the experience to help you navigate through multiple offer situations. 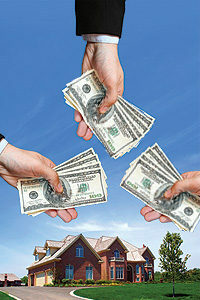 When your home is priced accurately, in a strong seller’s market, you may receive more than one offer. So, how do you handle that situation? Buyer’s have lost out on homes recently due to low inventory, so it is not uncommon to see multiple offers and some for over asking price. Your Sun Lakes AZ real estate agent should be skilled in guiding you through an appropriate response to multiple offers. One of the first things we advise our clients to do is to take the time to analyze each offer thoroughly. Purchase price is important, but it is not the only thing to consider. A cash offer is generally superior to a financed offer because of fewer contingencies such as appraisal and loan qualification/approval. The closing date that each offer contains is important as you analyze your needs for vacating the home and moving into another. What concessions, if any, are the offers asking? Are the offers clean or do they contain requested items such as furnishings? A skilled real estate agent can help you analyze each offer to determine which fits best within your parameters. Ask for Highest and Best on Multiple Offers. You may eliminate certain offers and focus on one or two that best fit your needs. Or, you can have your agent send out a form stating that the home has received multiple offers and ask for the highest and best. This gives a buyer the opportunity to revise their offer. They can increase the purchase price or eliminate contingencies or other requested items. Some buyers may choose to revise their offer, others may not and some may cancel for fear of getting into a “bidding war.” Serious buyers that want the property will usually stay engaged. It is important to avoid greed in these situations. If an offer is solid and works for both parties, resist the urge to try to squeeze out more. If you are thinking of listing your Sun Lakes AZ home for sale, you could face multiple offers. Learn more about how to handle multiple offers on Sun Lakes AZ homes by contacting us here or calling us at 480-440-0849.